Yippee! It’s Village Vancouver’s fabulous (if we may say so ourselves!) 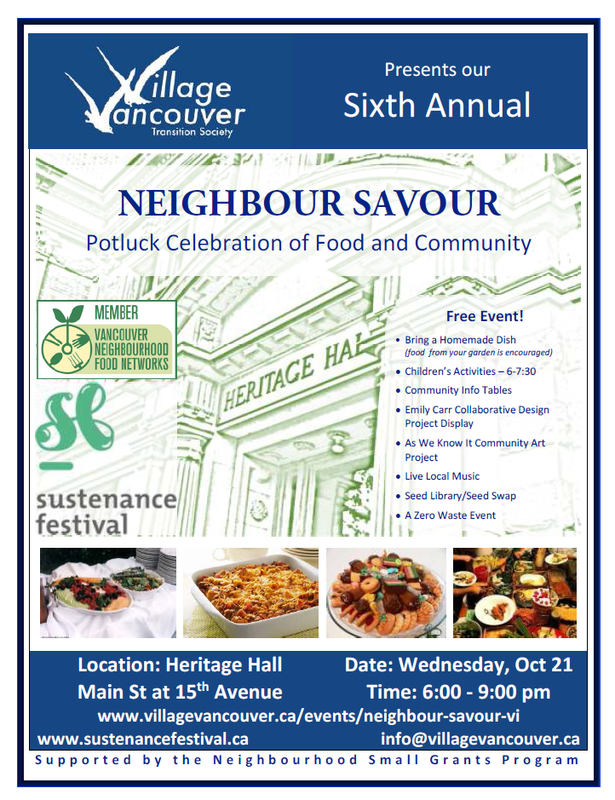 6th annual family friendly, zero waste community potluck celebration for 300 neighbours. Bring some food or bevvies to share, meet your neighbours, and hang out. FREE and open to everyone! RSVP to ross@villagevancouver.ca or on facebook. Complete Sustenance Festival information can be found at www.sustenancefestival.ca. October’s Right To Food Zine also contains festival info. NS is supported by a Neighbourhood Small Grant from the Vancouver Foundation. Thanks!